10” Pizza Pleezer, Black Plastic Tray W/Nubs 12/Box $18.67/ea. HSPP16 16” Pizza Pleezer, Black Plastic Tray W/Nubs 12/Box $22.68/ea. HSPP17 17” Pizza Pleezer, Black Plastic Tray W/Nubs 12/Box $22.83/ea. HSPP18 18” Pizza Pleezer, Black Plastic Tray W/Nubs 12/Box $25.82/ea. 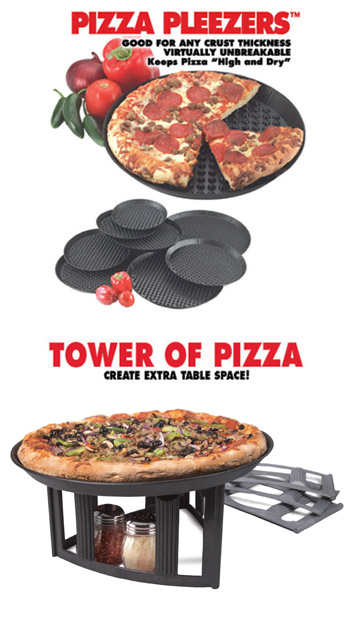 HSPP21 21” Pizza Pleezer, Black Plastic Tray W/Nubs 12/Box $28.24/ea. MC-LCS Black Heat Resistant Spatula 12/Box $24.50/ea. M-BSC-04 4 S/S Blade Bread Stick Cutter 12/Box $90.00/ea. M-BSQ Plastic Bag Squeezer 12/Box $46.20/ea. M-RPDD 18” Rolling Pin Docker 1/Box $144.00/ea. 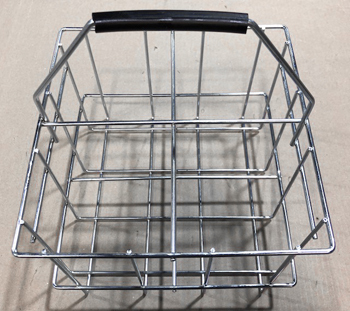 M-PPR 43”x15” Wire Prep Table Rack 1/Box $118.80/ea. M-PPR-1 30”x14” Wire Prep Table Rack 1/Box $108.90/ea. SUPSNI Super Snippet Heavy Duty Plastic Opener 12/Box $5.80/ea. ROY-BR-PZA Pizza oven brush, 36" wood handle 1/Box $36.90/ea. 8” Aluminum Tapered Sauce/Cheese Ring 12/Box $15.40/ea. M-PCR-10 10” Aluminum Tapered Sauce/Cheese Ring 12/Box $17.50/ea. 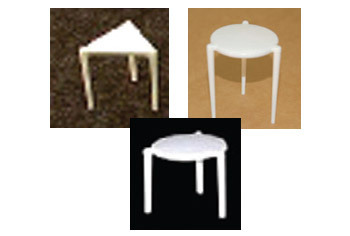 M-PCR-12 12” Aluminum Tapered Sauce/Cheese Ring 12/Box $19.60/ea. M-PCR-14 14” Aluminum Tapered Sauce/Cheese Ring 12/Box $21.70/ea. M-PCR-16 16” Aluminum Tapered Sauce/Cheese Ring 12/Box $24.50/ea. Call for quote on straight sided sauce rings. 8” Aluminum Tapered Sauce/Cheese Ring 2/Box $174.24/ea. PT-HE-SQ AC Catering Element 10.5”x12.5” 2/Box $174.24/ea. PT-CATER DC Element 8-1/4” x 16” Cigarette Adaptor 2/Box 2/Box $132.00/ea. PT-DC DC Element 14”x14” Cigarette Adaptor 2/Box $132.00/ea. 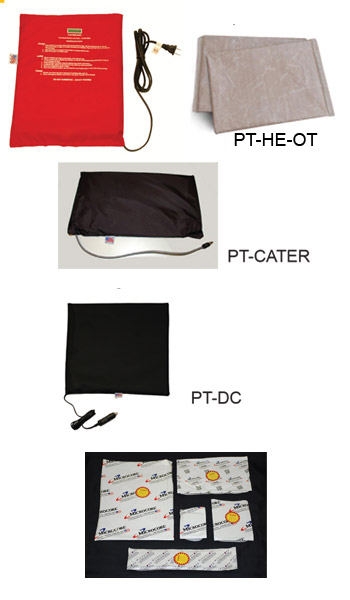 PD-HE-OT Oventech Element Runs Through Oven 2/Box $80.00/ea. VC012.000 Microcore Small Element 5x7, 20 oz. 12/Box $11.62/ea. VC011.000 Microcore Long Element 3x15, 20 oz. 12/Box $12.38/ea. VC014.000 Microcore Large Element 8x12, 40 oz. 12/Box $16.48/ea. VC018.000 Microcore X-LG. Element 10x14, 40 oz. 12/Box $21.24/ea. 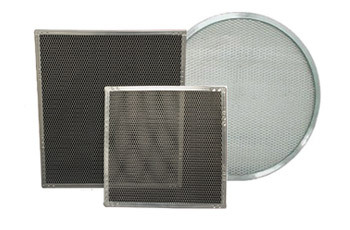 Rectangular and Round Screens available upon request. Regtangular sizes available from 6” to 20” Wide and 1” to 40” Long. Round Sizes 6” to 30”. 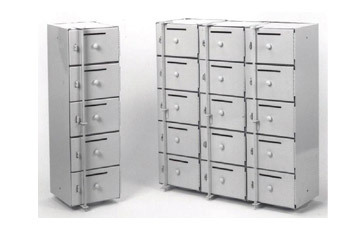 DD-660 Driver Security Drop Box 23x7x7 1/Box $278.00/ea. DD-330 Jr. Driver Security Drop Box 20-7/8x5-3/8x5-1/4 1/Box $270.00/ea. Locks not included) List Price. Call for pricing. W-BB-1826/2.5 White Tray 18x26x3 120/Pallet $29.68/ea. W-BB-1826/2.5 White Tray 18x26x3 10/Box $31.30/ea. W-BB-1826/2.5R Red Tray 18x26x3 120/Pallet $31.68/ea. W-BB-1826/2.5R Red Tray 18x26x3 10/Box $33.30/ea. W-BB-1826/2.5G Green Tray 18x26x3 120/Pallet $31.68/ea. W-BB-1826/2.5G Green Tray 18x26x3 10/Box $33.30/ea. 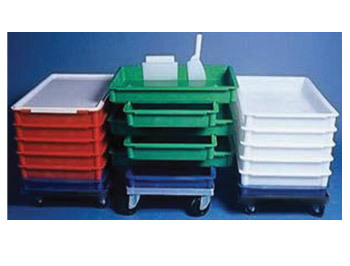 W-BB-1826/2.5B Blue Tray 18x26x3 120/Pallet $31.68/ea. W-BB-1826/2.5B Blue Tray 18x26x3 10/Box $33.30/ea. W-BB-1826L LID Dust Cover for 28x26x3 Trays 10/Box $40.40/ea. P-D18326 Aluminum Dolly for 18x26x3 Trays 1/Box $184.48/ea. HV-DOLLY Black Painted Steel Dolly for 18x26x3 Trays 4/Box $129.00/ea. W-BB-2026/5.5 Lg. 20x26x6 White 52/Pallet $57.10/ea. W-BB-2026/5.5 Lg. 20x26x6 White 4/Box $64.48/ea. Dust Cover for Lg. Trays 20x26x6 10/Box $44.48/ea. W-BB-2026A Aluminum Dolly for Lg. 20x26x6 1/Box $213.56/ea. BC-HG-D4D 4 Half Gallon Wire Beverage Carrier 10/Box $51.70/ea. LS-08N 1-1/2” Triangle Box Lid Support 1,000/Box 200/Pallet $24.66/ea. LS-SZ-CPPWPZ5200 1-1/2” Full Round Box Lid Support 1,000/Box 117/Pallet $28.50/ea. LS-B-PLS-2 2” Deep Dish Box Supports 1,000/Box 105/Pallet $43.00/ea. 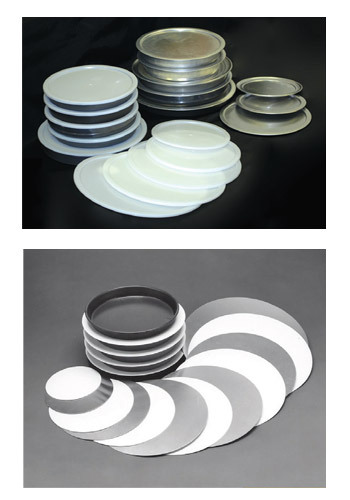 L06-I 6” Plastic Pan Lids Boxed/Dozen $6.16/ea. 9” Plastic Pan Lids Boxed/Dozen $7.04/ea. 10” Plastic Pan Lids Boxed/Dozen $7.44/ea. 12” Plastic Pan Lids Boxed/Dozen $7.90/ea. 14” Plastic Pan Lids Boxed/Dozen $9.52/ea. 15” Plastic Pan Lids Boxed/Dozen $10.40/ea. 16” Plastic Pan Lids Boxed/Dozen $12.24/ea. 8” Plastic Separator Boxed/Dozen $6.90/ea. 9” Plastic Separator Boxed/Dozen $7.64/ea. 11” Plastic Separator Boxed/Dozen $8.40/ea. 12” Plastic Separator Boxed/Dozen $9.00/ea. 13” Plastic Separator Boxed/Dozen $9.74/ea. 14” Plastic Separator Boxed/Dozen $10.50/ea. SP-15 15” Plastic Separator Boxed/Dozen $12.00/ea. SP-16 16” Plastic Separator Boxed/Dozen $12.90/ea. SP-17 17” Plastic Separator Boxed/Dozen $13.80/ea. SP-18 18” Plastic Separator Boxed/Dozen $14.84/ea. Complete line of Pizza Pans Available. Call for quote.